Are you looking for a fun weekend project to capture this colorful time of year? Check out our fall placemat ideas! 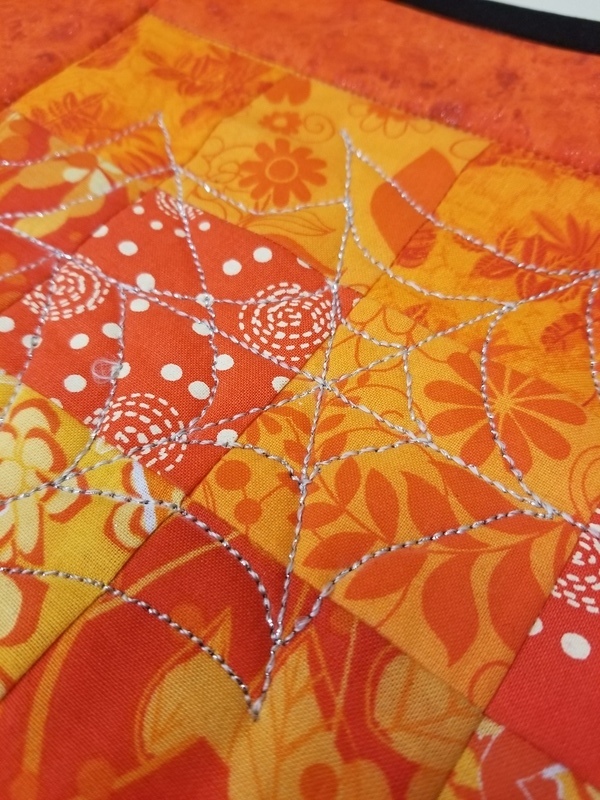 If you’re like me you probably have some orange fabric in your stash that you don’t know what to do with and if you’re like me, there’s also nothing more fun than shopping for those deep, rich, fall colored fabrics. So use your stash or go shopping – it’s a win-win. But first I have something very exciting to tell you! At the end of each month we will have a drawing that you can be a part of. The winner will receive $100 to spend at FullLineStencil.com! 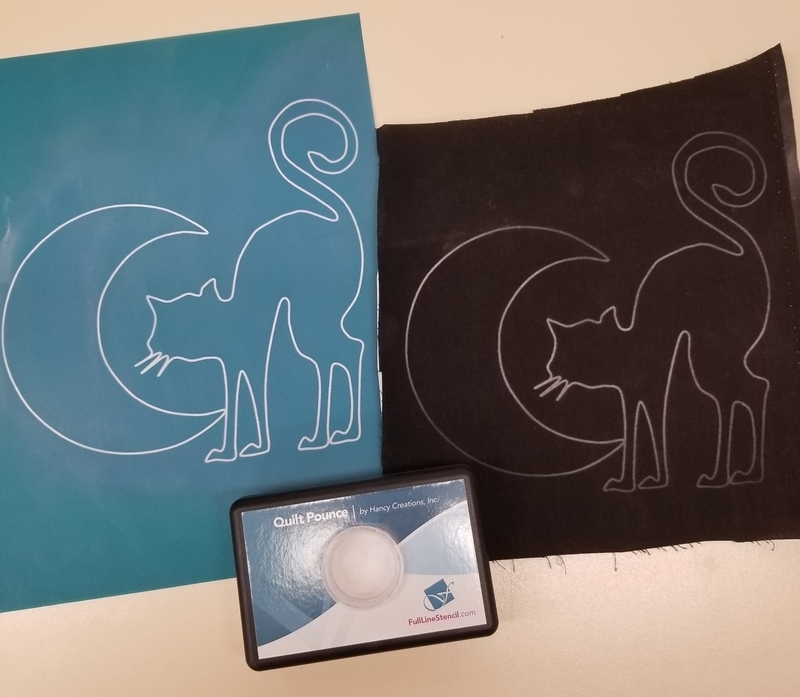 The way you enter the drawing is to post a picture of a project you made with any of our stencils on Facebook or Instagram with the hashtag #FullLineStencilProject. 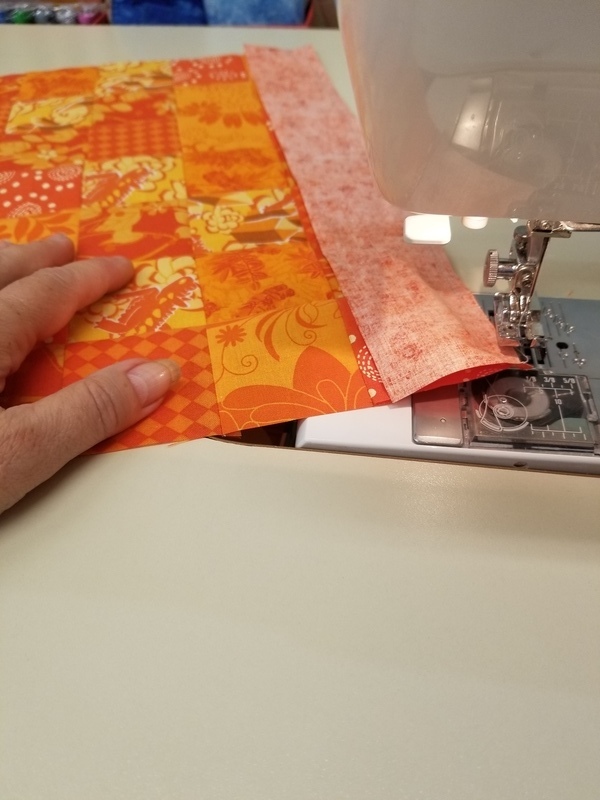 We know there are thousands of finished projects out there and it doesn’t matter when you finished yours, just make the post and we’ll get a notification and you will be entered into the drawing. You can be a big part of inspiring others by sharing what you’ve made and have a chance at winning every month! You can enter as many projects as you want each month, the more you enter, the better your chances to win! At the end of October we will pick our first winner! I sandwiched the placemat (layer the back fabric right side down, the batting and then the pieced top right side up). Next I got the applique ready. 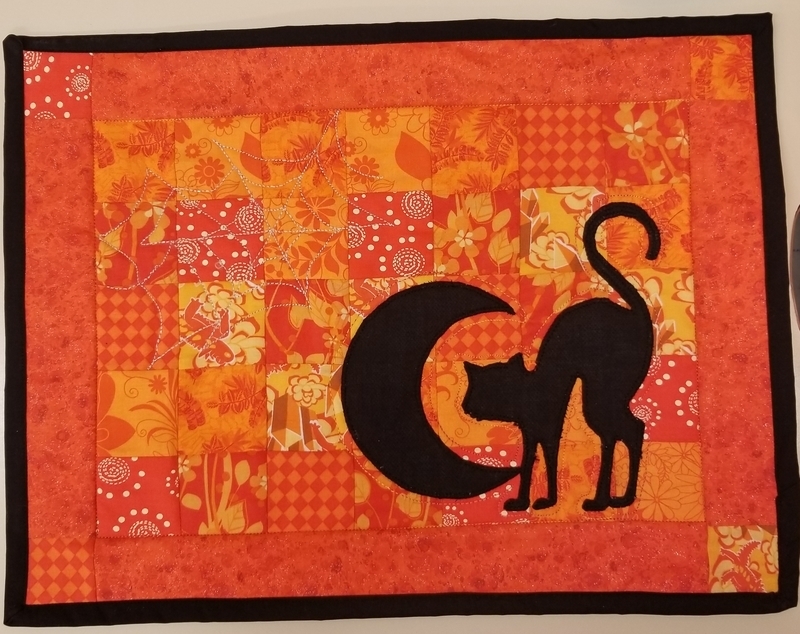 I pounced on the black fabric, which already had fusible webbing ironed to the back, with our stencil #80006, Halloween Cat & Moon. 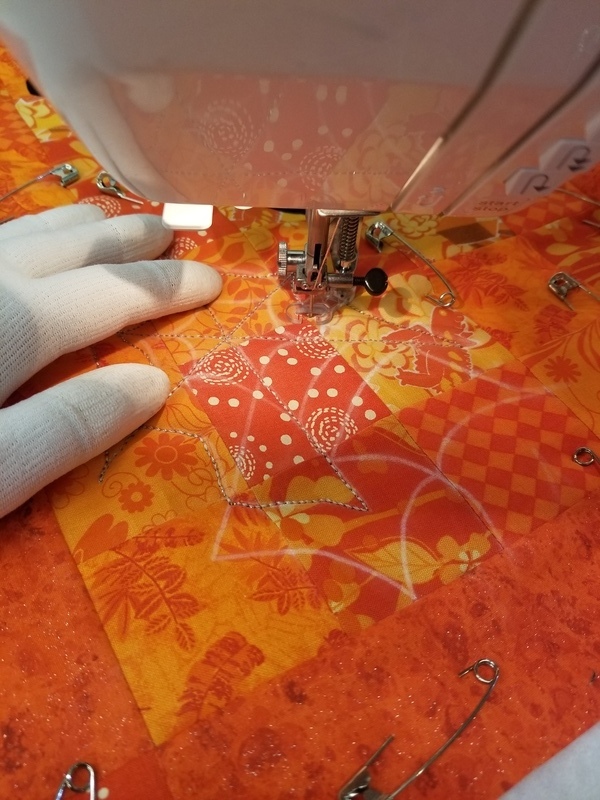 After cutting it out, positioning it, and pressing it to adhere I made a quick go-round with a machine applique stitch and was ready to quilt. Looking for something else to show off the rich beautiful colors of fall? 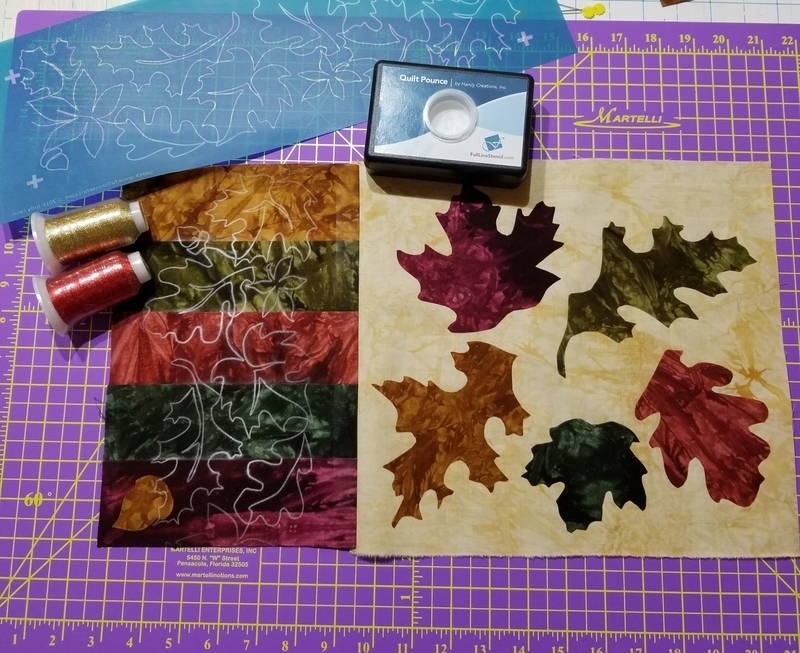 The fabrics I used are Starr Design Hand Dyes, Heavenly Fall pack of fat quarters. I put together some strips to equal the size I was after then attached another piece in a solid to complete the placemats. Typically placemats are around 12″ X 17″. 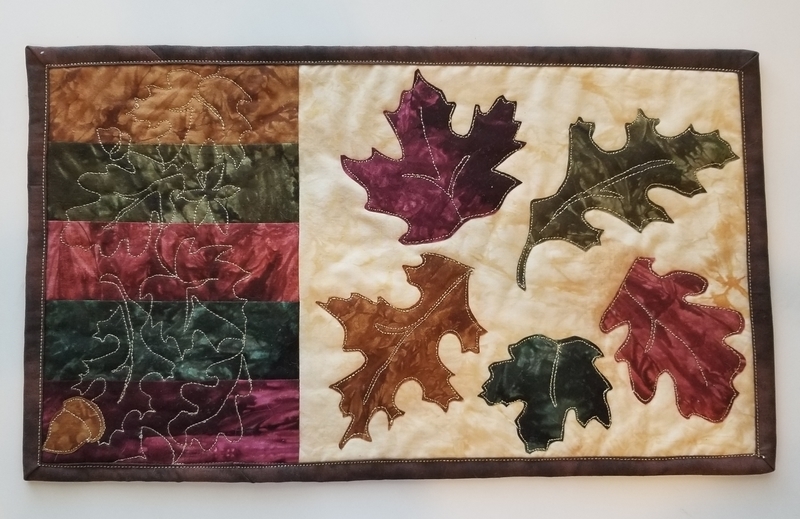 Since I made this we created a stencil that has both the border and the leaves on it, #50031. It’s a great stencil which combined with your imagination will create something truly special. Wonderfil GlaMore Decorative Thread was used on this project, the gold really made the leaves pop! Don’t forget to enter the drawing with pictures of these projects! I’m so excited to see them! And you’ll be able to see them too along with all the others at #FullLineStencilProject on Instagram!